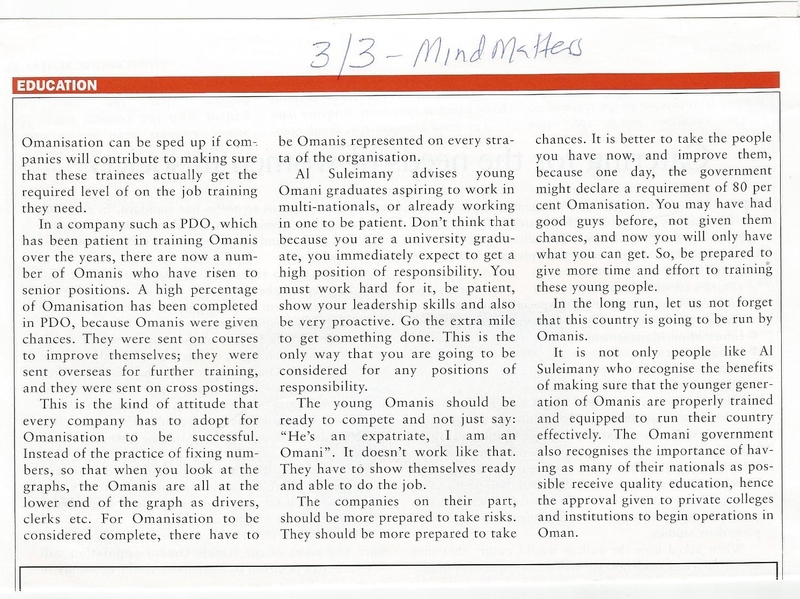 Mind Matters – Interview OER – Self – 12 years ago on Training, Development and Omanisation! « www.majidall.com – Being who you are and saying what you really feel! Between Us Only! Please – Can We Have Some More?